It is true that there was so much havoc erupted after seeing the mail from the chairman of the American Kratom Association among all the Kratom users. First, let me brief you what was actually there in the much-talked email. Scott Gottlieb had sent the mail to Kratom Warriors regarding the possible scheduling of Kratom by DEA. He also senses that the FDA is looking at opportunities to ban the Kratom again. He pledges that all of us must stand united against the unfair blame that Kratom is about to receive. He also requested everyone to donate some money in order to organize the fight for justice. There are so many doctors who are very against Kratom, mostly because of their ignorance. There are some instances that big shots are declaring war against Kratom’s rise. The commissioner of Food and Drug Administration, Scott Gottlieb fiercely stated his agony towards Kratom powder. He sees through that it gets banned in the country, where until now only a few states have banned it. His connection with policymakers is working out and there is huge support gained to all the anti-Kratom campaigns. It is the right time to step out and raise our voices. Isn’t that disquieting? 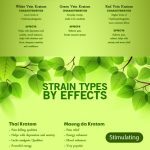 I’m not against each and every policy made by the FDA and DEA, but the people who are towards the ban of Kratom in the USA must understand the scientific facts behind the substance and I hope you would change your misconceptions towards Kratom products once you go through all of its properties. We are not towards rebellion or war; we just want to make a point to all the anti-Kratom torchbearers that government, before making any policy, should undergo certain regulations. Following the dictatorial method in banning Kratom is unjustified. The authority of the FDA is unquestionable but unjust in not acceptable. How to enforce a ban? One should understand the blatant propaganda of the chairman of the Food and Drug Administration who had been acquiring Kratom for various charges without an interval. We have enough evidence to prove that all he was mentioning was false allegations without any basis of examination. If a powerful man constantly providing false allegations, there is another worry apart from that. Our beloved fighter Dave Herman is getting very anxious about the issues taking place which is really upsetting us. I’m not stating that we are in a hopeless zone. There is some respite, indeed, the concrete legal system we have on our side. As per the law, section I of Article VIII consists of Congress having power to regular the interstate businesses but it doesn’t have enough powers to ban the product unconditionally, that are out of the constitution. Even Article 2 is on our side which asks the Congress to execute the law faithfully and conscientiously. There is another policy that is named the Doctrine of Non-Delegation. It says legislative authority cannot delegate its powers to executive authority. All the agreement they made was to banish the sale of Kratom over the internet. The constitution had a purpose in separating all these authorities. Though there is an exception for any policy. The policy is quite clear in the context delegation of power; the clause intelligible principle which is an exception to the policy of Congress cannot delegate its powers to other agencies. It is introduced in emergency situations with respect to convenience or public interest. Rule Making–The traditional formula for putting the policy into the paper and incorporating it into the federal registry. It is known that there was a policy upon Kratom in the year 2006. This is also known as informal rulemaking. Adjudication–Making an immediate decision on a prevailing problem or dispute. There are numerous article and newspaper material regarding the rational and scientific conclusion regarding the Kratom and how unfair it is to ban the substance. To make our voice loud and clear, we need your help, it is you who had been consuming Kratom for a long time and experienced the benefits of it. To be precise and clear once again for all, there is no constituent in Kratom that demands FDA classify it as a controlled substance. Finally, to ban the Kratom, the authorities have to perform several examinations specifically, 8-factor analysis test. I would like to add a fact at the end which would rejoice all the Kratom users out there, the eight-factor analysis test has been conducted by a reputed doctor and Kratom had passed the test. Now it’s our turn to publicize the eight-factor analysis data to the public platform and prove that all the allegations made on Kratom are absolutely baseless.